If you’re anything like us, you likely always have the goal of learning more about the digital marketing industry. Unfortunately, in today’s world of busy days and little time, it can be difficult to stay apprised of the newest events and tips in SEO. There are so many books to read, so many conferences to attend, and so many articles to take in. Luckily, there are things like podcasts to help us make the most of time that may not be as ‘free’ as we would like. To save you the time of searching for the perfect podcast, we’ve put together a list of the 32 best SEO podcasts of 2019. Check them out and let us know which ones you’ve listened to! Want to take a deep dive into the best SEO and digital marketing strategies gracing the web? 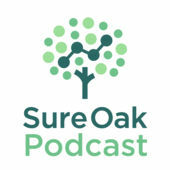 Subscribe to the Sure Oak podcast. Host Tom Casano sits down with a new marketing and SEO expert each week to get you the newest and most successful tips from those who know the industry best. Half the episodes of this podcast focus directly on SEO, while the other half focus on topics like social media and content marketing. Host Dan Shure also writes all the posts on the podcast website. This podcast is a must-watch, because it completely avoids reiterating overused SEO “tips” and focuses instead on making the questions and topics relatable to anyone in the digital marketing industry. Fly-by-night SEOs are all too frequent in the digital marketing industry. 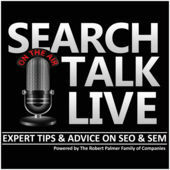 Hosts Robert O’Haver and Matt Weber combine their years of SEO experience to help listeners learn what tactics will actually help their website traffic and what will result in tanked rankings. Topics for each episode include SEO best practices, social media, paid campaigns, and enhancing your customer experience. A website’s domain authority is how search engines and potential customers determine the trustworthiness of a website. That’s why a big goal for any website should be to increase your domain authority. 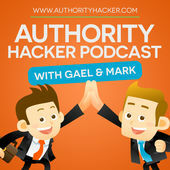 In this podcast, hosts Gael and Mark give tips on how to do that and use it to grow and monetize your website. 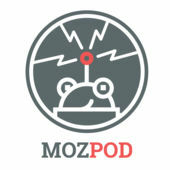 If you want proven advice from real, successful SEOs, MozPod is the podcast for you. In each episode, experts share which SEO and digital marketing tactics have worked for them and which have fallen short. The ultimate goal is to help businesses accomplish a better, less invasive way to market to customers. Brian Childs, the program training manager at Moz, hosts the show. Thanks to Pirates of the Caribbean, we now know what the edge of the world looks like. 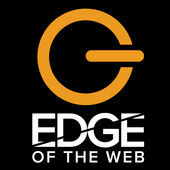 This podcast shows you the edge of the web. In it, hosts Erin Sparks and Tom Brodbeck discuss every aspect of internet marketing, including SEO, email marketing, content marketing, and conversion rate optimization. The pair also discuss industry news that’s relevant at the time each episode is recorded. 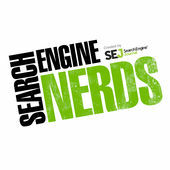 The Search Engine Nerds podcast is put on by Search Engine Journal. It airs every two weeks with interviews of some of the best and brightest search engine nerds, who discuss their biggest takeaways from SEO initiatives and insights into where the industry is heading. 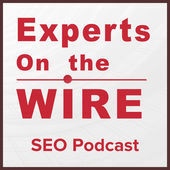 SEO experts Brent Csutoras and Loren Baker host the show, which discusses featured topics like link building, mobile search, and web development. Want to know where SEO is now and where it’s heading in the future? 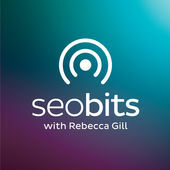 Check out this podcast with host and marketing expert Rebecca Gill. Topics range from the proper keyword density of content to the evolution of SEO, but Rebecca makes sure to keep episodes from becoming too heavy for people new to the industry to understand. 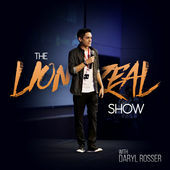 If you’re looking to learn all there is to know about internet marketing, check out this podcast. In each episode, host Andy sits down with top entrepreneurs, marketers, business owners, and SEOs to discuss their tips for making it as an internet marketer. 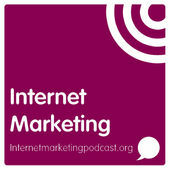 This is one of the most popular podcasts for internet marketing news and tips. If you’re just getting started on your SEO journey, this podcast is for you. 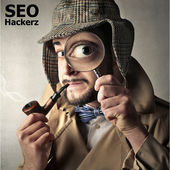 It covers all the basics of SEO without being overwhelmingly technical. Ross Dunn of StepForth Web Marketing Inc and John Carcutt of Advance Digital host the show. Both have been in the SEO industry for more than 20 years, and each has his own area of expertise. Ross is more knowledgeable in small and medium-sized businesses, while John focuses on enterprise and large companies. Both bring a solid sense of humor and approachability to the podcast. 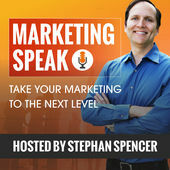 This podcast is hosted by SEO expert, author, and professional speaker Stephan Spencer. In it, thought leaders and professional speakers discuss marketing related issues with Stephan and offer insights into the best ways to solve those issues. They also discuss the latest in digital marketing and SEO news, so if you want to stay up-to-date, this podcast is a must-listen. 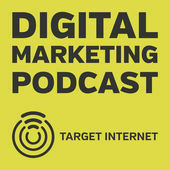 Tune into this podcast to expand your skills and knowledge of SEO and internet marketing. Hosts Matt Bertram and Chris Burres have years of experience in the marketing industry, and they share some of the biggest lessons they’ve learned in that time. Each episode is usually broadcast to Facebook, and the hosts will answer as many questions as they can during the live session. 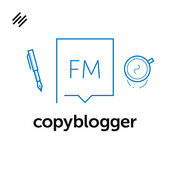 The best way to improve your SEO palate is with this podcast. 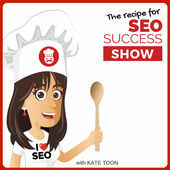 Host Kate Toon is an award-winning SEO copywriter and SEO consultant with nearly two decades of experience in advertising and digital. Her goal is to erase the false perception of SEO as something that’s difficult to understand and show her audience that it’s actually a fun, challenging practice. Guests on the podcast discuss everything from boosting your rankings to the worst SEO tactics you can put into action. The best part? Each episode is designated as either “Newbie” or “Techie” so you can decide what to listen to based on your level of expertise. 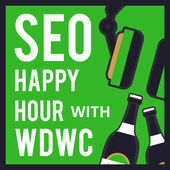 Like its fun-filled name, this podcast is all about making SEO approachable to everyone. Brett Snyder of Knucklepuck and Nate Shivar of ShivarWeb.com host the show, and they keep each episode focused, interesting, and insightful. Topics range from growing your website to establishing your brand to the viability of investing in apps like Snapchat. This long-running podcast has now been going for over a decade, and it’s received numerous high ratings during that time. Tune in to any episode to hear from some of the most influential marketers and entrepreneurs of the decade. For over a decade now, host John Jantsch has interviewed thought leaders, marketing experts, and top-rated authors. Topics range from battling unconscious bias in your organization to tips on transforming your company into an inbound organization. Making your business into a success doesn’t have to feel like brain surgery. 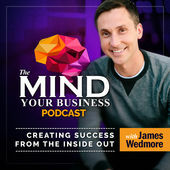 Listen to this podcast to learn how a simple change in mindset and an implementation of proven strategies can put you and your company on the road to long lasting success. The idea that hustle and hard work are all it takes to be successful are a misconception, according to this podcast. Host James Wedmore and guests explain why in each episode. The world of marketing is constantly changing. Each week, host Sonia Simone and a cast of rotating experts discuss what’s happened in marketing since the previous episode and how that affects SEOs, marketers, and business owners around the world. Past topics have ranged from social media marketing mistakes you may be making to ways to get more comfortable and effective at selling. Check out this podcast to learn all about niche websites and affiliate marketing from experts, like host Kelvin Mah, who deal with it every day. Topics range from everything there is to know about affiliate marketing to SEO and growing and earning from your efforts on your blog. Experienced web marketers Jim Hedger and Dave Davies explore the world of web marketing in this podcast. They’ve now been hosting it for more than 10 years, and in each episode, they interview high-profile guests or panels about what’s new in marketing and how it affects the industry. Jim and Dave also sometimes discuss the politics and ethics of certain marketing practices. 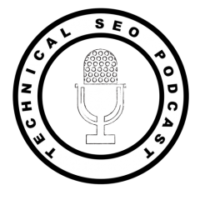 Although this podcast is one of the youngest on this list, the episodes that have been released so far offer an incredibly in-depth look into the technical aspects of SEO. 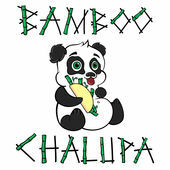 Topics so far have ranged from the challenges of doing SEO in-house to crawling and indexing websites. Dan Taylor and Adam Gent created the show as a means of providing technical SEO with some much-needed attention. Business analytics is a huge aspect of the marketing industry. 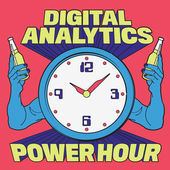 In this podcast, hosts Michael Helbling, Moe Kiss, and Tim Wilson offer their insights into digital analytics and give tips on how to implement proven strategies into your business. People often say the some of the best discussions happen in the bar after a conference ends. This podcast is an attempt to bring those discussions into the light of day. If you’re looking to grow your business online, this podcast offers insights you can definitely benefit from. 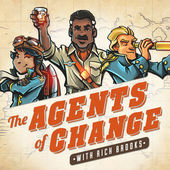 Every week, host Rich Brooks interviews an expert on topics like Facebook, SEO, Twitter, content marketing and blogging. The goal of the podcast is to help business owners, marketers, and entrepreneurs gain access to, and satisfy, their dream customers. Check it out to receive insights on turning website visitors into customers from some of the biggest names in the industry. This popular marketing podcast has listeners in more than 120 countries worldwide and was named one of the top 10 podcasts on iTunes. 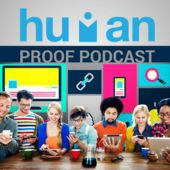 Each episode contains information on the latest in marketing tips and tricks, as well as interviews with digital marketing experts from around the globe. 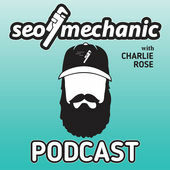 SEO Mechanic Charlie Rose shares his insights from years of experience as a marketer and SEO in this podcast. Each episode discusses another aspect of SEO and methods of making your initiative a success. Topics range anywhere from copywriting and email marketing to conversion optimization and business ideas. 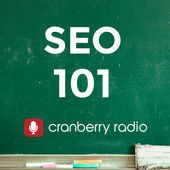 This podcast is dedicated to helping blog and business owners who struggle with SEO for their pages learn how to do it without hiring a professional SEO service provider. Episodes feature everything from video tutorials and live Q&As to live website analyses and interviews with business and website owners. Expert Scott Gombar hosts the show. This brand new podcast is a must-watch for anyone interested in learning more about SEO. Each episode is dedicated to helping business owners and marketers get better SEO results through actionable tips and proven methods of attack. 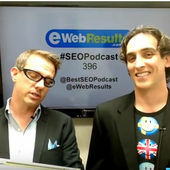 SEO expert Nathan Gotch hosts the show. 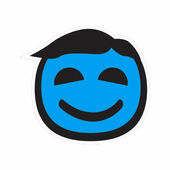 Learning SEO doesn’t have to be stressful. 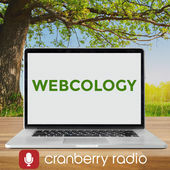 Grab a drink, kick back, and relax while listening to this insightful podcast. Anyone looking to drive leads to their web presence through things like social media, SEO, and content marketing will find the tips they’re looking for within each episode. Hosted by the co-founder of “We Do Web Content”, Alex Valencia, this podcast regularly features powerhouse experts in social media and SEO. In this podcast, the talented team at digital creative agency Lucca AM discuss tips, tricks, and trends within the digital and online marketing industry. 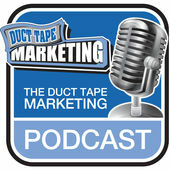 The goal of the podcast is to help marketers and business owners increase the traffic and leads for their website. The best part? Most episodes are only 3 to 8 minutes long. 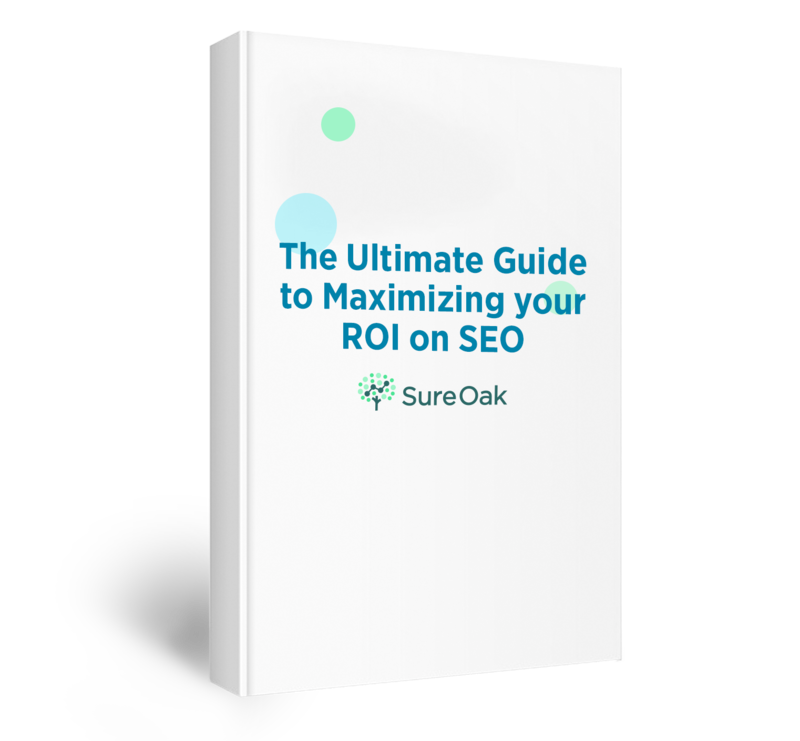 Want to know how you can see growth as a result of your SEO efforts? 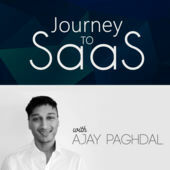 Check out this SEO-dedicated podcast to get insights into the trials business owner Ajay Paghdal is facing as he attempts to grow his startup using top SEO tactics. 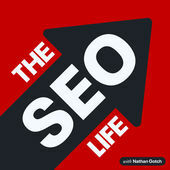 The cat is out of the bag with this SEO podcast. Secrets for explosive growth are yours with each episode, including tips on the power of voice search, Apple Maps, Siri, and all the other ways people search for things online. Bobby Holland from Bipper Media hosts the show and offers listeners the inside scoop of how he’s driving explosive growth for his clients from search. 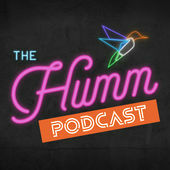 Are you a search nerd looking for the perfect podcast for you? 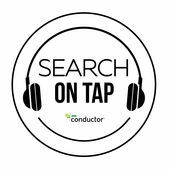 Conductor’s Search on Tap is everything you’re searching for and more. Episodes feature SEO virtuosos from leading brands and agencies, as well as advice from Conductor’s in-house SEO specialists on topics like SEO, digital marketing, and beyond. The content is well structured and delivered in an easily understandable way, so you can’t go wrong with any episode. Watch this podcast to learn how to create and scale a successful SEO business from other SEOs and digital marketing experts. Regardless of what type of business you use your SEO skills for, you’ll find useful advice within each episode of this podcast. You’ll also get the opportunity to hear from highly successful SEOs without having to pay for tickets to a conference.